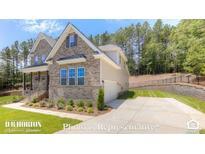 Find Mountain Island Lake, NC New Homes for sale. View Photos, Maps and MLS Data Now! Don'T Miss Out!!! Quality Custom Waterfront!!! ! MLS#3488669. Southern Crescent Realty. Stonewater - Come take a look at this rare BASEMENT home! It is a MUST SEE! MLS#3489799. DR Horton Inc.
Stonewater - This home is a must see! MLS#3489794. DR Horton Inc.
Stonewater - Come take a look at this rare BASEMENT home! It is a MUST SEE! MLS#3489735. 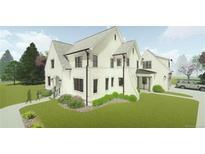 DR Horton Inc.
Stonewater - This home is a MUST SEE! MLS#3489821. DR Horton Inc.
Stonewater - Come take a look at this rare BASEMENT home! It is a MUST SEE! MLS#3489758. DR Horton Inc.
Riverbend - All homes here now include a tankless water heater, our new home is connected smart home feature, and full sod landscaping. MLS#3488295. DR Horton Inc.
Riverbend - All homes here now include a tankless water heater, our new "home is connected" smart home feature, and full sod landscaping. Gorgeous home with exquisite value! MLS#3488288. DR Horton Inc.
Riverbend - All homes here now include a tankless water heater, our new "home is connected" smart home feature, and full sod landscaping. Gorgeous home with exquisite value! MLS#3488279. DR Horton Inc.
Riverbend - All homes here now include a tankless water heater, our new home is connected smart home feature, and full sod landscaping. MLS#3482382. DR Horton Inc.
Stonewater - Come take a look at this rare BASEMENT home! It is a MUST SEE! MLS#3480433. DR Horton Inc.
River Park - Please note Square Footage is based on plans and blue prints. MLS#3479663. BSI Builder Services. River Park - Please note Square Footage is based on plans and blue prints. MLS#3479742. BSI Builder Services. River Park - Please note Square Footage is based on plans and blue prints. MLS#3479726. BSI Builder Services. River Park - Please note Square Footage is based on plans and blue prints. MLS#3476964. BSI Builder Services. Riverbend - All homes now include a tankless water heater, our new home is connected smart home feature, & full sod landscaping. MLS#3456180. DR Horton Inc.
Riverbend - All homes here now include a tankless water heater, our new "home is connected" smart home feature, and full sod landscaping. Gorgeous home with exquisite value! MLS#3449074. DR Horton Inc.
Riverbend - All homes here now include a tankless water heater, our new "home is connected" smart home feature, and full sod landscaping. MLS#3449128. DR Horton Inc.
River Park - Unfinished basement with bath rough in. MLS#3455562. BSI Builder Services. Riverbend - IN ADDITION, all homes here now include a tankless water heater, our new home is connected smart home feature, and full sod landscaping. Gorgeous home with exquisite value! MLS#3448989. DR Horton Inc.
Riverbend - All homes here now include a tankless water heater, our new home is connected smart home feature, and full sod landscaping. MLS#3448711. DR Horton Inc. This modern farmhouse plan offers an open concept design. MLS#3393928. Peters & Associates.